VIDEO: 9 Books in 2 Minutes! 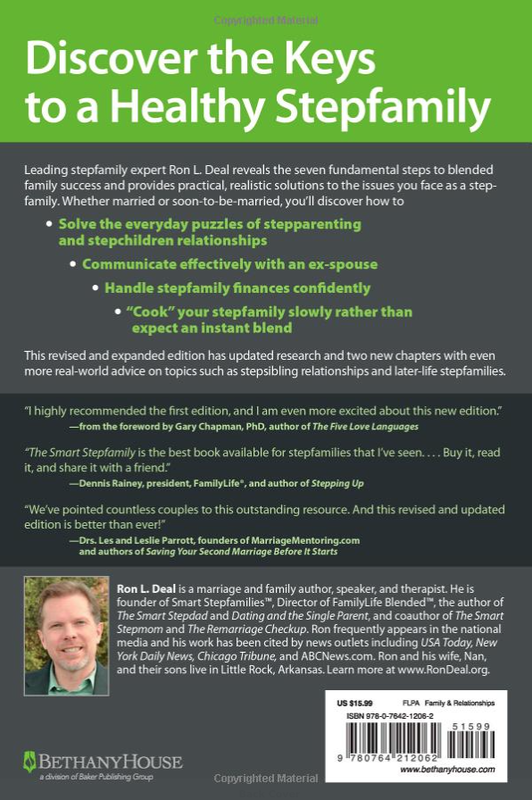 The Smart Stepfamily is one of the many stepparenting books by Ron L. Deal. There is also The Smart Stepmom, The Smart Stepdad, The Smart Stepfamily Marriage, The ReMarriage Checkup (and other books on dating, et cetera). All three of his stepparenting books that we read had an extremely vocal Christian theme, and it is no surprise that his books are quite popular with church-based groups and seminars dealing with step parenting. If you want a book with almost equal parts religion as stepparenting advice, then this is the book for you. If not, then it is not the book for you. Even for me, as a church-goer, however, I found myself wishing he’d talk more about what I got the book for - help with stepparenting issues - and less about religion. For example, I’m a real estate agent and although my faith has a role in my work, if I bought a book on being a successful realtor, I’d want it to be 100% on that, not half of it discussing God’s role in my job. I’ve got my minister for that, and many books at my disposal on that specific topic. What I wanted was guidance in stepparent topics and I did not get it from this book, nor did the majority of our readers. Every chapter starts off with a Biblical verse, usually followed by more discussion about how that verse, or our faith in God, is critical to success in stepparenting. What was most disappointing, however, was the lack of real information in the book for me. 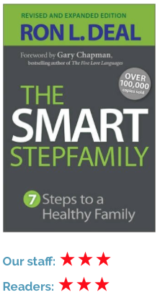 The book’s subtitle is 7 Steps to a Healthy Family. To summarize these, they are: integrating your parenting styles; giving priority to your marriage; dealing with loyalty conflicts; trusting and championing the stepparent; facing parental challenges; understanding common stepfamily emotions (like grief, loss); and handling family financial issues. These are all viable issues. The problem is that by the time I finished the book and looked back on what I could actually take away from it to apply to my life, as well as my children and my husband, I could recall almost nothing that was really useful. Personally, I think the author has chosen to stretch his topic too thin among too many books. You can cover a lot of information in 300 pages. So to divide up the subject of stepparenting in all these books he has written seems a way to sell more books. I’d rather see one really good book. I’ve read enough books on step parenting to know this can be done, without dividing it up into one book for the stepfamily, one for stepmom, one for stepdad, and one for the stepfamily marriage. Yes, there are unique issues facing both stepdads and stepmoms, but each topic does not need a full book to cover it - certainly not four of them likely totalling more than 1,000 pages. Not in my opinion anyway. Although I came away very unimpressed with this book, I did find his The Smart Stepmom and The Smart Stepdad to be much better with more takeaways to actually use and help me as a parent and stepparent. I still found the religious aspects overpowering in those books, and the amount of space it took up detracting from what could have been discussing stepparenting issues, but at least they had helpful information for me. Of course, in fairness, the things that were turn-offs for me might be turn-ons for others. 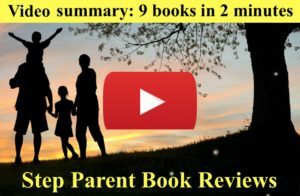 I felt two other books reviewed here, 101 Tips for the Smart Stepmom (by this same publisher as Ron Deal, the author of this book, and Step Parenting: 50 One-Minute DOs & DON'Ts for Stepdads & Stepmoms, offered a lot more information, and delivered in a more pleasing way. My favorite part of this book was actually a section he didn’t write, instead quoting Tammy Doughtry, MMFT, in her “Top 10 Things Kids Wish They Could Say to Their Divorced Parents.” To paraphrase, some were “Have your financial conversations in private - I don’t want to hear about it,” “If you want me to feel at home, even if I only live with you part-time, please make it feel like a full home to me,” and “Don’t make me pick who I want to spend time with, or monitor your time with me like I’m on the clock.” Actually, the only things I ended up remembering from the book of an actual helpful nature were in her top ten list. None found, but see book's back cover and review section on Amazon for reviews by other authors.